Educational and research institute of foreign philology is one of the leading departments of the university headed by prof. A. V. Synhaiivska. Educational and research institute trains students in such specializations: “Philology. Translation”, “Philology*. The English language and literature”, “Philology*. The German language and literature”. 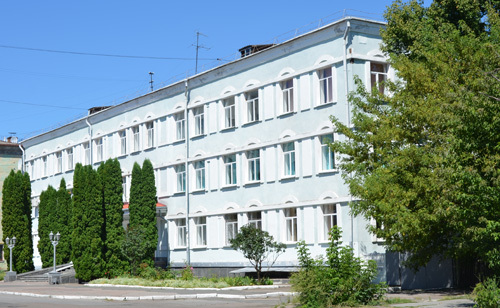 Educational and research institute of foreign philology is located in a separate building №2. It houses the dean’s office and the departments of the institute, well-equipped educational and research center with phonetic laboratory, 6 rooms with modern video and audio equipment, recording room, computer class with up-to-date PCs, scanners, printers, copy machines, TVs and projectors; 7 lecture rooms, study rooms, library with reading hall, book store and buffet. 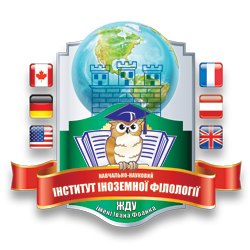 There are six departments at Educational and research institute of foreign philology: English philology and translator’s/interpreter’s department named after D. I. Kveselevich (headed by A. V. Synhaiivska), the English language department (headed by as.prof. I. S. Semeniuk), the German language department (headed by as.prof. S. F. Sokolovska), Language teaching methods and applied linguistics department (headed by prof. L. V. Kalinina), Cross-cultural communication department (headed by as.prof. V. V. Zhukovska), Romanic-Germanic literatures and literature study (headed by prof. O. S. Chyrkov). Educational and research institute of foreign philology is a center of high professionalism, creativity and constant progress. They traditionally hold national scientific conferences, various methodology workshops, primarily on the foreign language and translation teaching methods, seminars for the instructors of English. Many leading Ukrainian scientists, the US Peace Corp volunteers in Ukraine and other foreign specialists are usually involved. 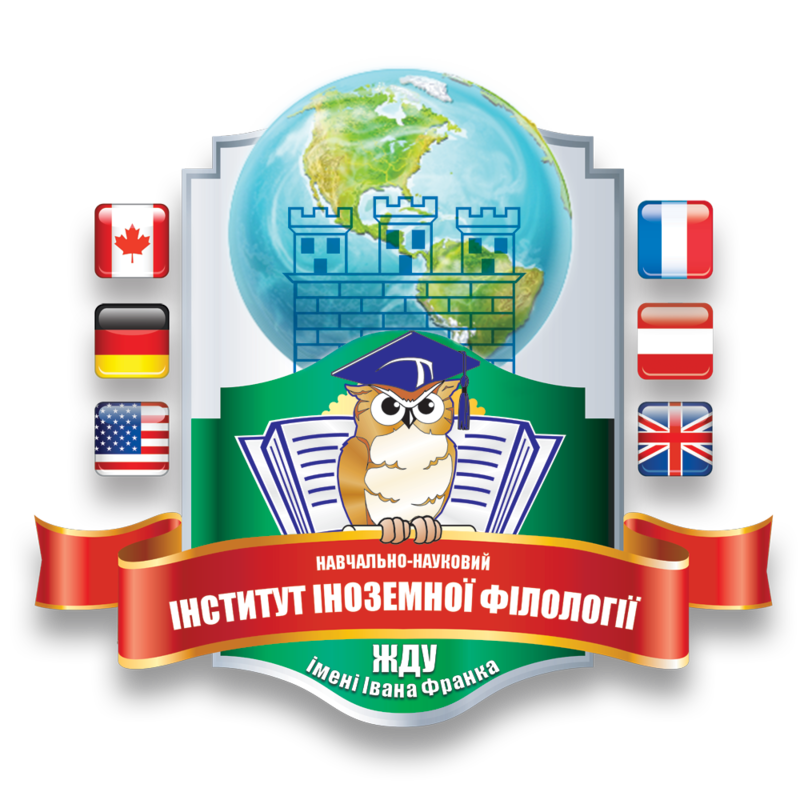 Educational and research institute of foreign philology has maintained relations with foreign educational institutions and various associations overseas. They have signed the cooperation agreements with the following educational institutions and associations as Baranovychi State University (Belarus), the US Peace Corp in Ukraine, British Council, Goethe Institute, Aristoteles Institut (Germany, Bremen), Deutscher Akademischer Austauschdienst (DAAD). The instructors establish and maintain contacts with informational and cultural centers of official foreign embassies in Ukraine. They have fruitful relations with IREX, the US Embassy in Ukraine, International Renaissance Foundation, American House, British Council and representatives of foreign publishing houses namely OUP, CUP, Pearson Education (Longman) and Express Publishing. Educational and research institute of foreign philology’ instructors apply for grants to raise their proficiency level at foreign scientific and research centers and educational institutions. Such instructors as O. Andrushenko, T. Hryhorieva, V. Yevchenko, Yu. Zhyliaieva, L. Kalinina, Ye. Karpenko, L. Kotniuk, I. Kuznietsova, M. Lipisivitskyi, O. Mysechko, I. Rudyk, I. Samoiliukevych, A. Synhaiivska, I. Snikhovska, S. Sokolovska, O. Shalenko underwent training in Great Britain, the US and Germany. O. Yu. Andrushenko has won the Scholarship for Teaching and Learning to conduct research on the subject “Introduction to Germanic Linguistics” in 2010-2011. The research is supported by the Education development center of Central European University, Hungary. In 1992 the post-graduate course 10.02.04 “Germanic languages” was established at the English philology and translator’s/interpreter’s department named after D.I. Kveselevich. It trains qualified specialists for Zhytomyr State University and other higher educational institutions of Ukraine. Scientific research is characterized by thorough analysis of language units, involving the interaction of cognitive and communicative planes. Research reflects the dynamics of language development and is aimed at revealing language potential in communication. Structural and semantic characteristics of the units of English (lexical, morphological, syntactic and textual) are investigated regarding to their innate and functional characteristics. 20 theses were defended since 1992. There are post-graduate and doctorate courses 10.01.06 “Theory of Literature” at the Romanic-Germanic literatures and literature study department. Students are encouraged to hold research work. There are student scientific groups (“Literary text: analysis and interpretation”, “Vocabulary development tendencies of modern German”, “Current problems in translation/interpretation”, “The use of critical thinking in teaching German”, “Innovations in foreign language teaching”, etc.) and discussion groups in fields of contextual semantics of English naming units, functional semantics, pragmatics and linguistics, communicative linguistics, cultural linguistics, linguo-stylistics, cognitive linguistics, phonetic-stylistic peculiarities of the English poetry, generative grammar, linguistic manipulation, the history of the English language, etc. Student research is supervised by leading scientists of the institute. Best projects are submitted to student scientific research contests, issued in various collections of student papers and discussed at student scientific conferences. The institute pays due attention towards improving the quality and significance of research aimed at solving problems of linguistics, the English language teaching methods and other courses, applying the results of scientific research to the teaching process.